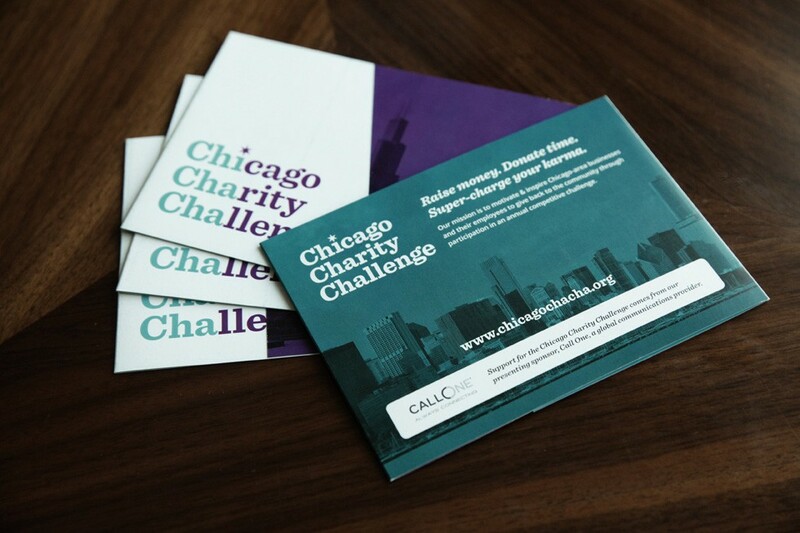 The Chicago Charity Challenge is an annual competition for Chicago-area businesses and their employees to give back to the community. Because of the long name, our goal was to keep the identity clean and organized in a beautifully made typeface. Stacking the name allowed us to put emphasis on the first three letters of each word, highlighting the nickname of the challenge “Chi Cha Cha”. We also used the identifiable Chicago star as the dot on the “i” in “Chicago”. 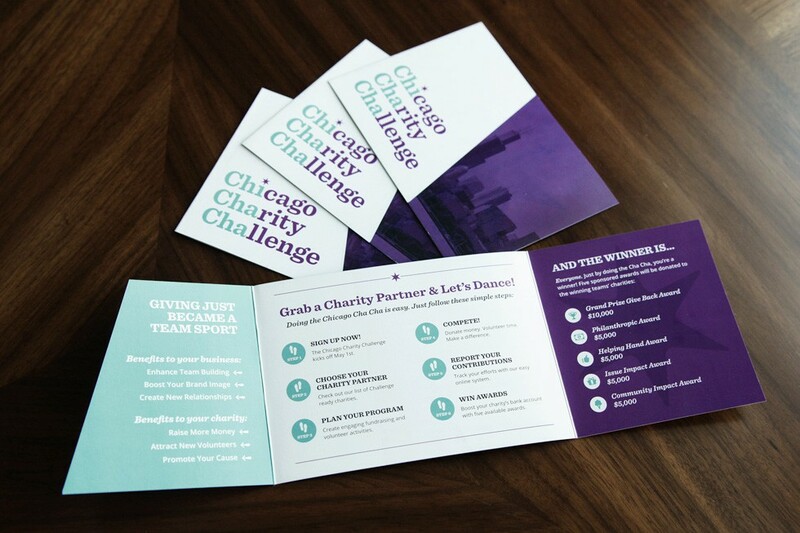 We chose playful colors to accompany the simple logo, to give the Chicago Cha Cha a fun and inviting brand personality. We also created some fun icons for use on social media and in smaller scales, and designed a small tri-fold card that briefly describes the challenge.